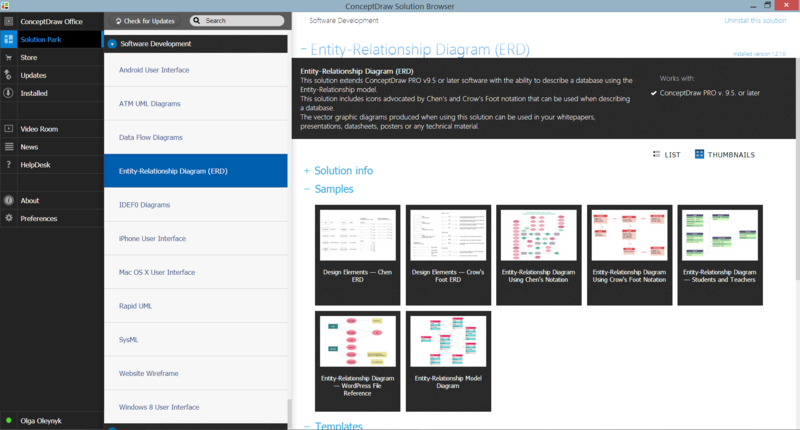 The Entity-Relationship Diagram (ERD) Solution from the Software Development Area for ConceptDraw Solution Park extends ConceptDraw DIAGRAM ector graphics and diagramming software with the ability of drawing the Entity Relationship Diagrams for visually describing the databases with Crow’s Foot and Chen's notation icons. Drawing the Entity Relationship Diagrams from the clear page can be quite long and hard. 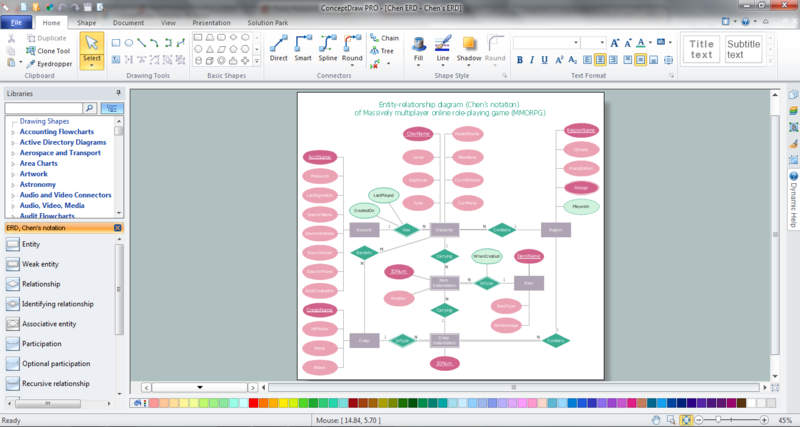 For this case, designers were prepared templates and samples with Entity Relationship Diagram examples. Saved and located in ConceptDraw STORE, they are available for every ConceptDraw DIAGRAM user. 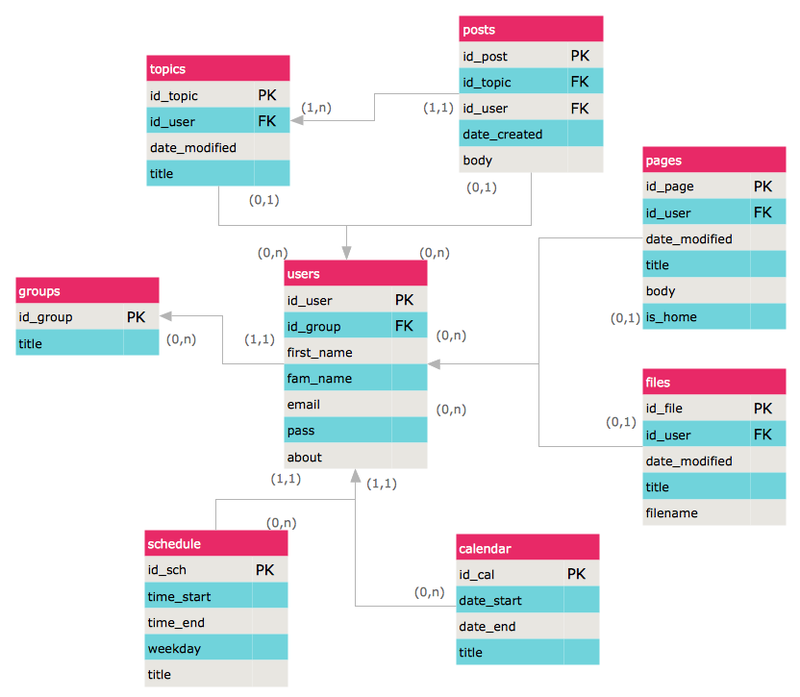 No matter which way you choose - use the predesigned templates and samples, or design Entity Relationship Diagrams de novo, you will be useful to use the vector objects provided by libraries of Entity-Relationship Diagram (ERD) solution. This sample was created in ConceptDraw DIAGRAM using the vector objects from the ERD Crow's Foot Notation library of Entity-Relationship Diagram (ERD) Solution and illustrates the Entity Relationship Model Diagram. An experienced user spent 15 minutes creating this sample.